Welcome to our office at our Doral and Pembroke Pines Locations.Thank you for choosing us.Your laser treatment will be done by Magaly Consuegra our CCE, CEM, CLHRP (one of only 10 accredited people in the world). She is a Dermatologist graduated in her native country (Cuba) with more then 30 years of experience. With her experience and professionalism we guarantee the result of your treatment, making your visit to our spa an enjoyable experience. After years of clinical experience and research, laser hair removal is a proven form of epilation. Follicle growth in three different phases, and photothermolysis. Laser applied to living tissues (hair in this case) will have different effect on tissue components,which depends on the absorption of the spectra. Laser hair removal is a great alternative to reduce and getting rid of unwanted hair avoiding painful methods such as waxing. Touch of life Med Spa is your definite choice, which will provide you and specialized team, excellent professionals, and exquisite as well as peaceful environment. 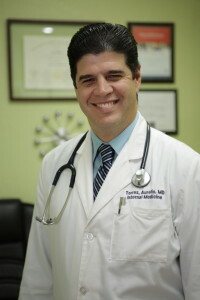 We have an excellent professional team working under the supervision of Dr.Aurelio Torres.